Welcome to the Live Monarch Educational Foundation, Farm and National Movement. 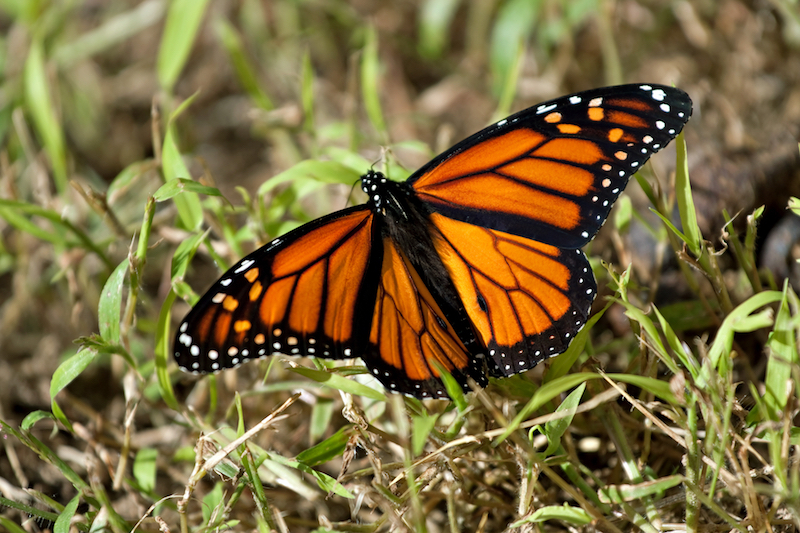 Mission Statement: We offer education, involvement, assistance and acknowledgment of persons directly acting to benefit the Monarch Butterfly and various native creatures who have suffered a decline in their natural habitats. We have moved to North Georgia and are creating a new facility. Tropical Milkweed plants have begun to ship - Staff will notify you of expected delivery date if you ask for ASAP delivery . We planted several varieties of Milkweed so keep your fingers crossed for their success. As we update...the rest of our site can be found using the "SITE MAP". This store supports our campaign to keep the sky filled with fluttering friends and to help you gain knowledge to make better choices and protect our environment. We hope you will help us distribute milkweed across North America and share your seeds and knowledge with friends and family. Please use our contact form first but if more than a day passes and your need is urgent please call us at 877 722-8624 and we will do our best to quickly assist you. snail Mail or quick online purchase of milkweed seeds or orders sent by US mail. Living Milkweed Plants (Asclepias) - Lives plant will not be offered in 2019, We are still building the new greenhouse. Sorry for any inconvenience. Please take advantage of our low cost seeds and start ASAP. Adult Butterflies for Release Limited Availability, Restrictions due to weather and region. Take some time to view each category above to find new items and to learn how to make raising healthy butterflies fun. Concerning living items like plants, we will hold your order until safe to ship to your area. We will organize based on your location and appreciate your patience unless you take responsibility for the shipment. We are unable to forecast late freezes and once shipped can not recall a package. If you are not able to protect young Milkweed from a late freeze please consider waiting to receive your milkweed. Please assist us to quickly and efficiently process all orders; by first filling out our order form to get an order number. Any remaining questions or needs can be handled in the notes section, or by phone call or email with your order number as reference. We understand that some may not have access to a computer or understand how to use online payment systems and we will assist you efficiently by phone. We will always ask if you are able to use our online forms as this gives you far more information and the ability to recheck your input carefully. The average small purchase of $15 leaves no profit to absorb the cost of a 10+ minute call to carefully copy your basic information onto our order form and explain each item in detail. We no longer can accept a PO due to the problems we have had getting paid by a few. Your assistance will help us continue to keep costs low for us all. Thank you.